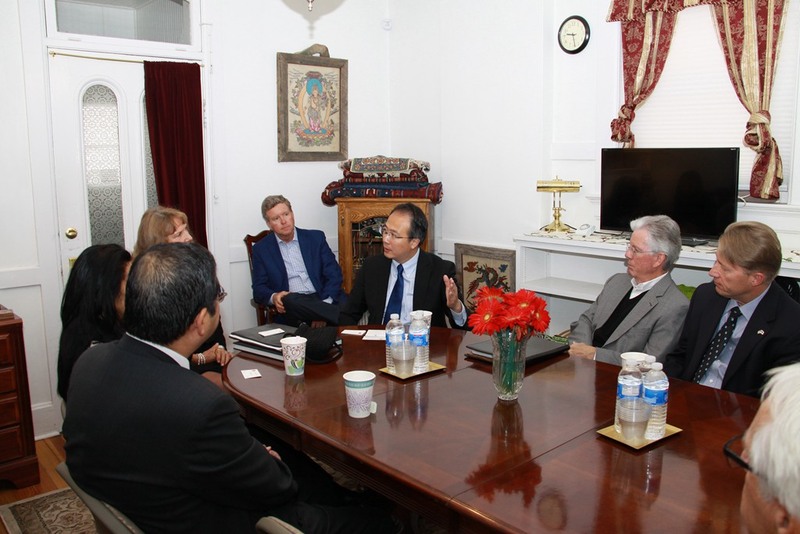 On September 26, Consul General Hong Lei met with the head of consular corps in Colorado and Russian Honorary Consul General to Denver Deb Palmieri in Denver, Colorado. Consul Generals and Honorary Consul Generals of Serbia, Hungary, Finland, Italy, Holland, Mongolia and Japan also attended the meeting. Consul General Hong Lei elaborated on the exchanges and cooperation between China and Colorado and Denver as well as the development of China-US relations. He also had discussions with the heads of consular corps on issues of common interest.